The team of Ansh Khullar ’16 and Ammar Plumber ’16 have won the National Debate Coaches Association’s (NDCA) 2016 National Championship. 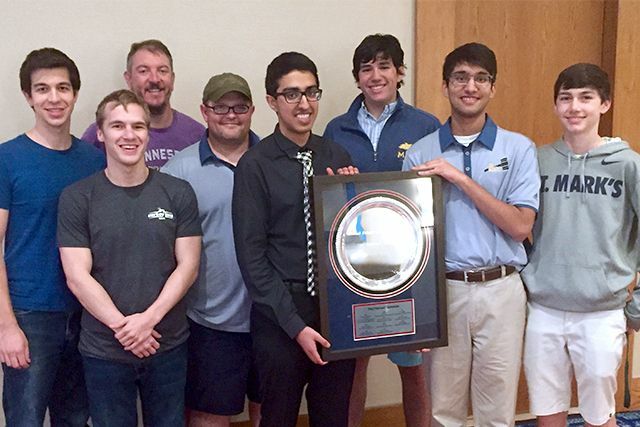 Competing at the University of Central Florida in Orlando, Ansh and Ammar entered the final elimination round of the tournament alongside the team of Jake Galant ’16 and Harris Wilson ’18. The Marksmen debate teams were two of the just 25 debate teams nationwide to make it to the final elimination rounds. They represent the very best of the more than 17,000 debate students competing nationwide. This year’s debate topic focused on curtailing domestic surveillance. Each team had six preliminary debates, arguing both in favor of and in opposition of reduced government surveillance. Ansh and Ammar advanced by defeating the high school teams from Wayzata, Minnesota, in the octafinals, New Trier, Illinois, in the quarterfinals, and The Westminster Schools in Georgia in the semifinals. In the final round, the Marksmen defeated the team from Rowland Hall in Utah. 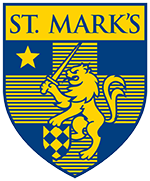 Ansh and Ammar’s win make them St. Mark’s first NDCA National Champions since the 2008 team of Jordan Blumenthal ’08 and Alex Katz ’08. The debate team is coached by Tim Mahoney.